← A Monarch in the garden? My grandfather had a very eventful journey through the First World War. He joined the Canadian Army on June 12th 1916, and fought at Vimy Ridge, Passchaendale and the Somme. 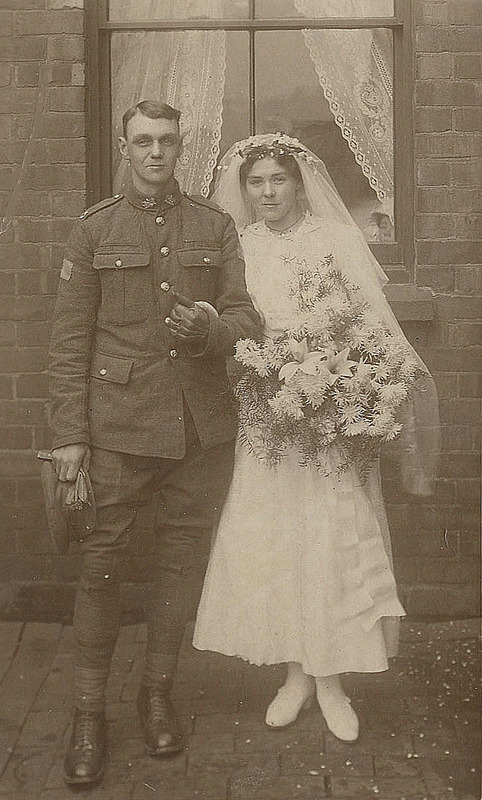 The highlight, though, was when he married his childhood sweetheart, on July 15th 1917, I am writing this account on his 97th wedding anniversary. Will has left an enormous amount of material behind him, including a piece of German shrapnel, his leather dog tags, and a piece of camouflaged fabric he cut off the wing of a German aircraft which had crashed in front of him in no-man’s-land. 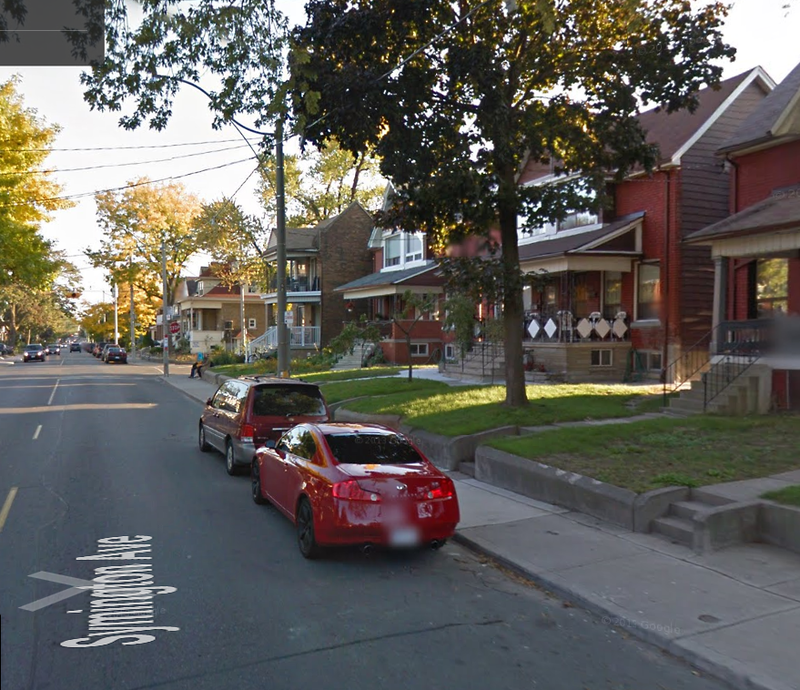 He lived at 266, Symington Avenue, Toronto. 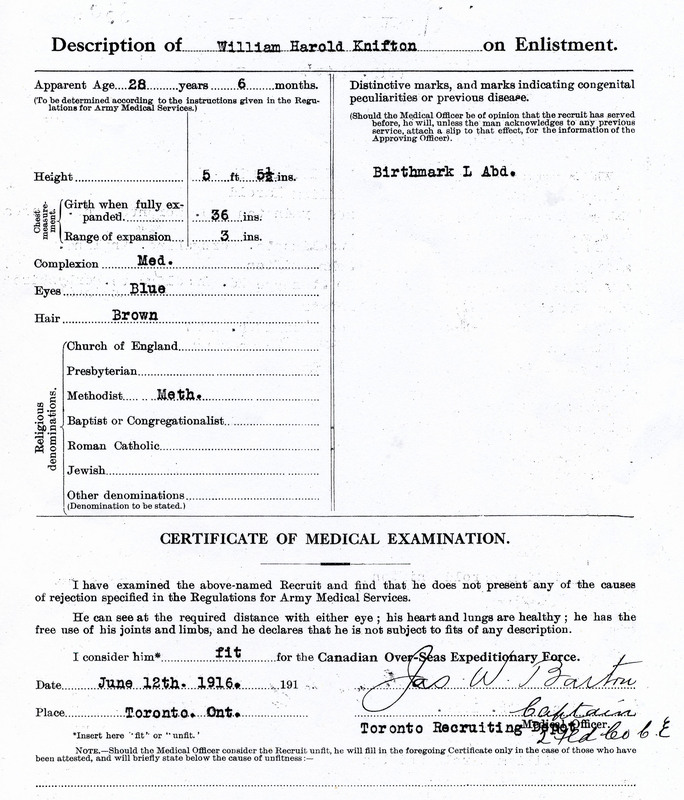 Will was to join the Canadian Army at the Toronto Recruiting Depot on June 12th 1916. 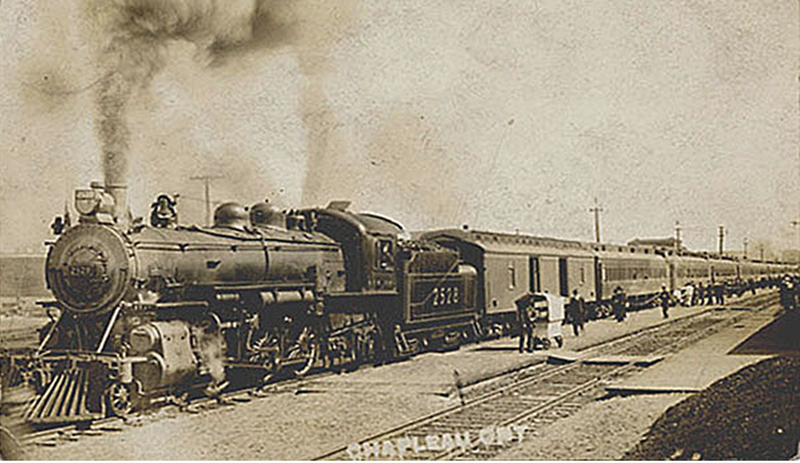 He weighed 123½ pounds, and was considered by Captain J.W.Barton to be fit enough to join the Canadian Over-Seas Expeditionary Force. 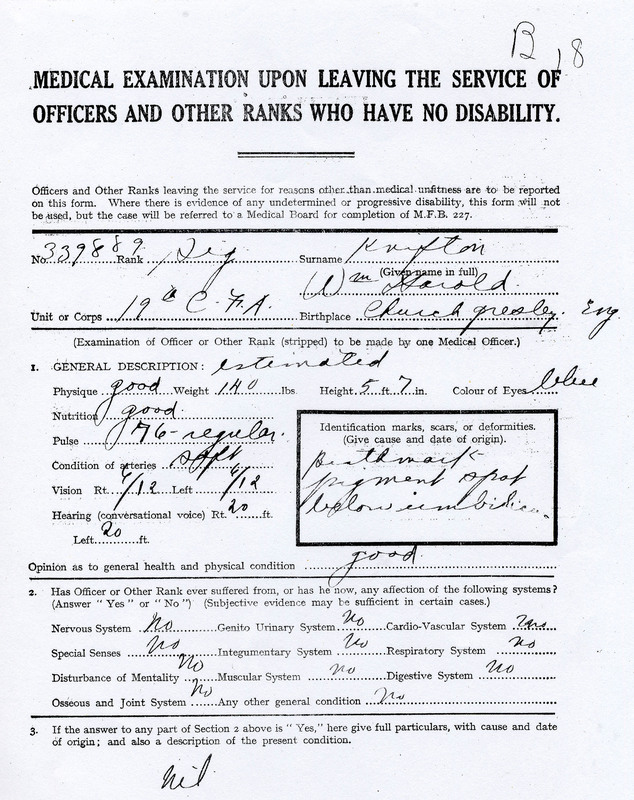 On July 6th 1916, he made a will, witnessed by the Orderly Room clerks, Messrs Irving and Smith. 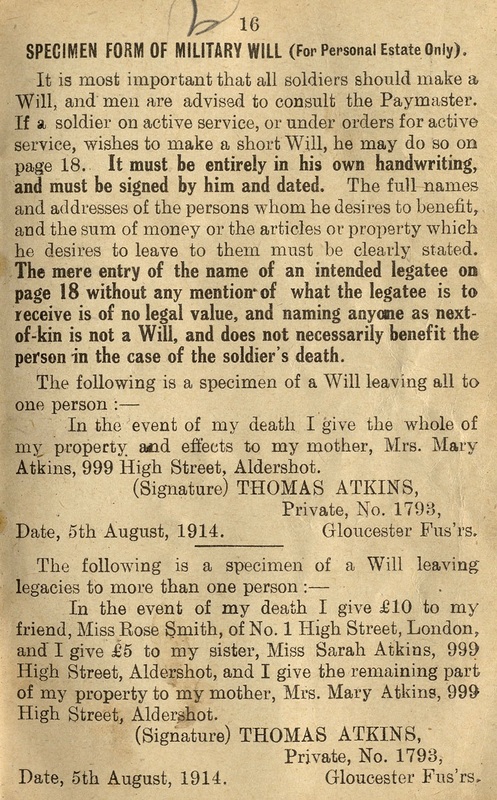 Judging by the small print, this document was eventually to make Mrs Mary Atkins of 999, High Street, Aldershot, a very rich woman indeed, particularly after the Battle of the Somme. 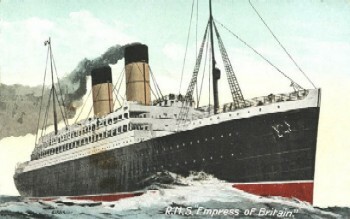 Will sailed from Canada to the Western Front on July 16th 1916 on the “S.S.Empress of Britain”. On July 25th, he arrived in England, and was taken on strength at Shorecliffe in Kent. 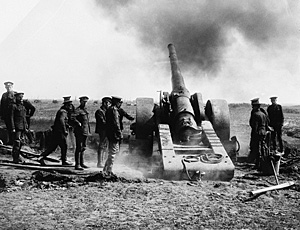 On November 23rd 1916, he arrived in France and went straight into the 69th Overseas Battery of the Canadian Field Artillery, where he was eventually to become a Gunner. 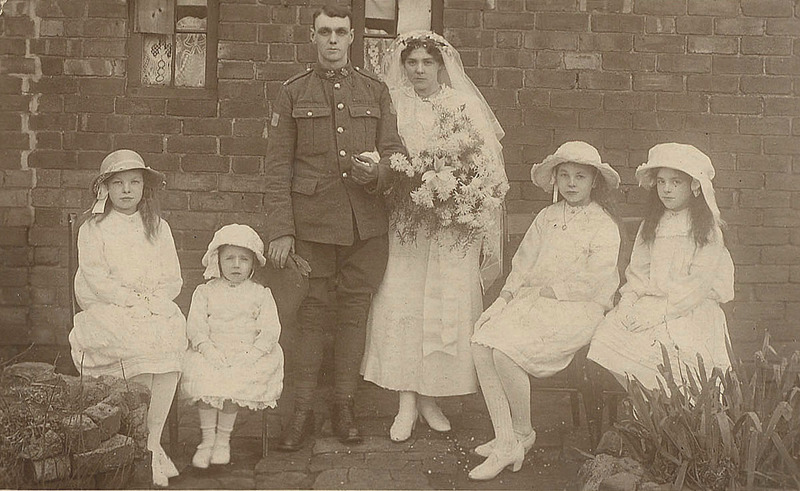 When I was a boy, my grandfather spoke to me not of wedding dresses, though, but of events in the war. 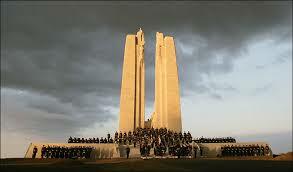 He talked of having fought at Bapaume, at either Pozières Wood or Polygon Wood, and above all, at Vimy Ridge. “…soldiers, trapped in the horrors of a silly and senseless war and enduring almost indescribable conditions”. 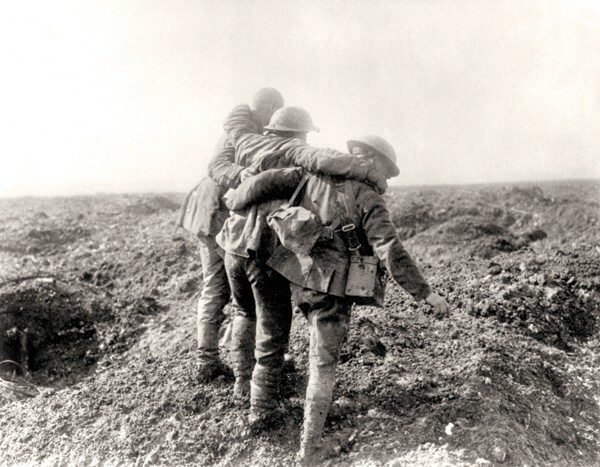 “On a chill Easter Monday in 1917, with a blizzard blowing in their faces, the four divisions of the Canadian Corps in France did what neither the British, nor the French armies had been able to do in more than two years of fighting. 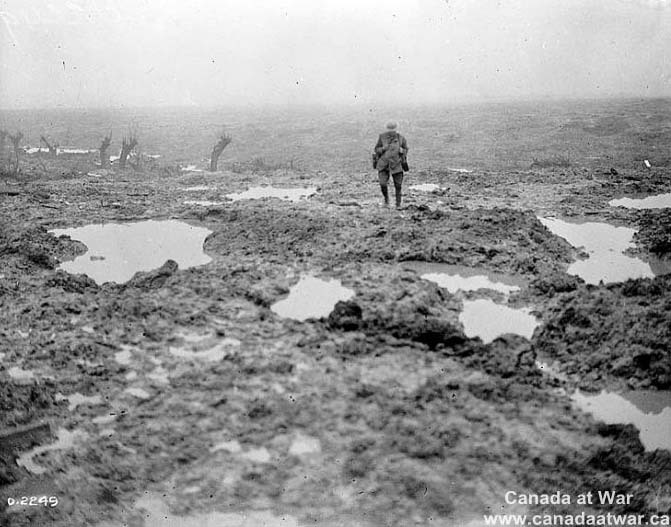 They seized and held the best-defended German bastion on the Western Front – a muddy scarp known as the Vimy Ridge. The French, who had lost 150,000 men trying to take the ridge, didn’t believe it could be done. Nor did the Germans; even the British were sceptical. But the Canadians triumphed! 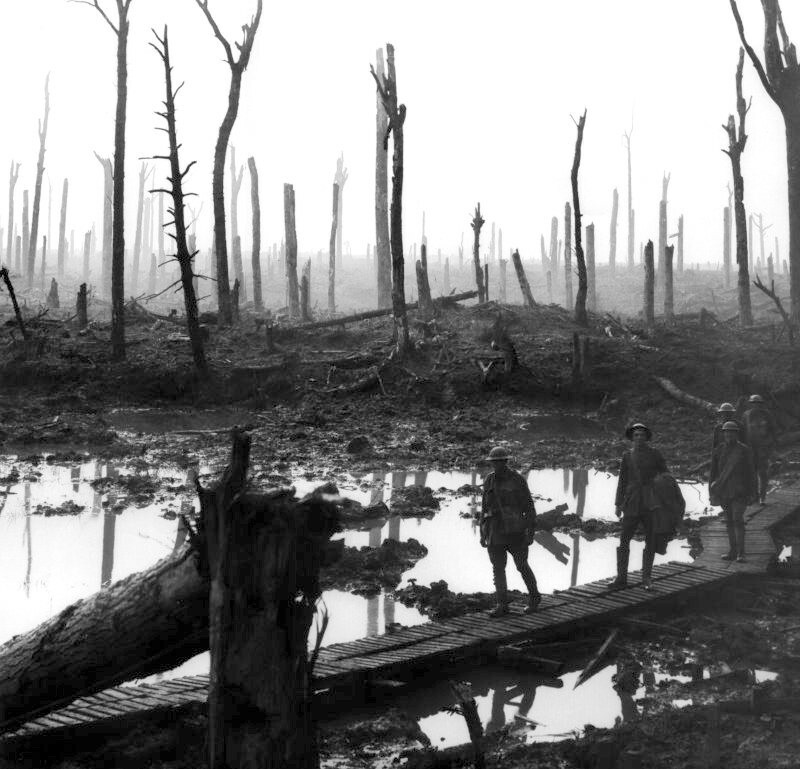 Will was certainly a veteran of Passchendaele in 1917, and in 1918, I believe, fought in the Somme area where blood soaked battles had taken place some two years earlier…. Will finally left France for the last time, and proceeded to England, via the French port of Le Havre. 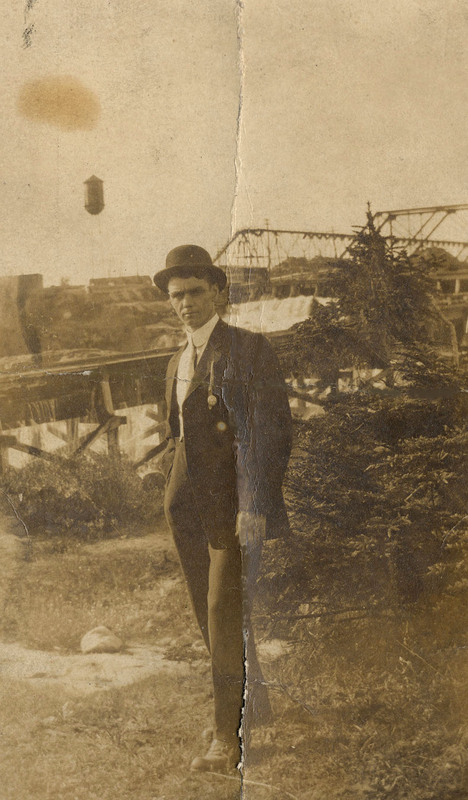 He was finally discharged from the army on May 23rd 1919. From his medical examination, he had put on some sixteen pounds during his time in the army, and now weighed a hundred and forty pounds, a glowing testimony to the quality of the food in the Canadian Over-Seas Expeditionary Force. He had also apparently grown half an inch taller. Still, at least Will did actually come back home safe and sound. It was not a speedy process, however. It was six months before he was no longer a soldier. On March 4th and 5th 1919, at Kinmel Park in Denbighshire, north Wales, Canadian troops had rioted against their dreadful living conditions, sick of the constant, apparently pointless delays, and longing to be allowed to go home at last back to their families in Canada. 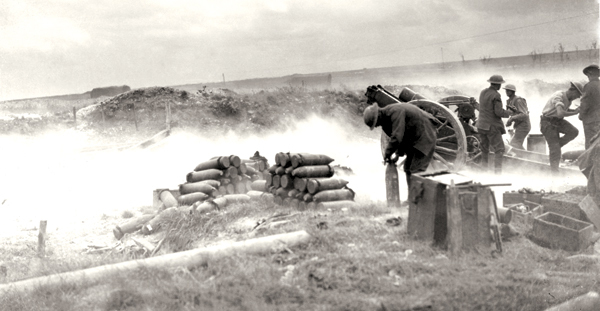 The rioters were fired upon by British troops. Five brave Canadians were killed and 23 were wounded. It was one of 13 mutinous riots by Canadian troops, all for exactly that same reason. 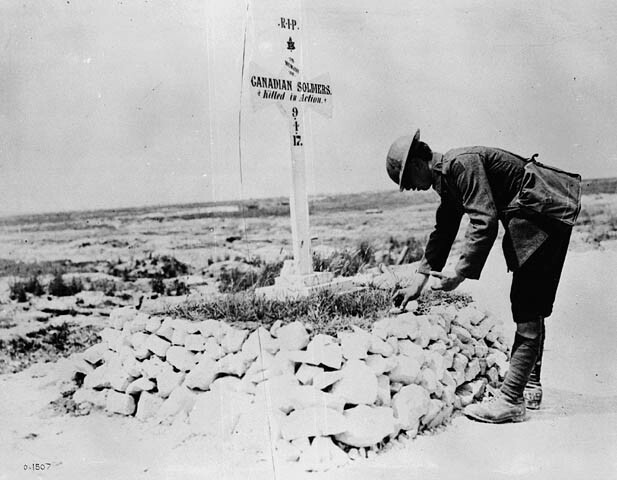 Records of Canadian soldiers in the First World War can be accessed online at the Library and Archives Canada website. For my grandfather, two pages are viewable. I know from my own experience, though, that if you pay your money, you will have access to page after page of extremely interesting material. A lovely blog post by my Dad about his grandfather’s journey through the First World War with the Canadian Army, written on the 97th anniversary of the day he married his childhood sweetheart wearing his dashing Canadian uniform. What a wonderful comment about my new blogpost from my DD. Do you want cash or a cheque, dear? I can not find a post I haven’t read, so I’m here commenting to let you know I was here. Thank you so much. I need all the followers I can get. It looks terrible when the only one is your own daughter! You need to go on the Reader page and type in your interests in the Tags and/or Topics. Visit sites with similar interests. Click on others Gravatar image, etc. Thanks very much indeed for this. I will definitely give it a go! Thanks very much. I can’t imagine that war will ever end! 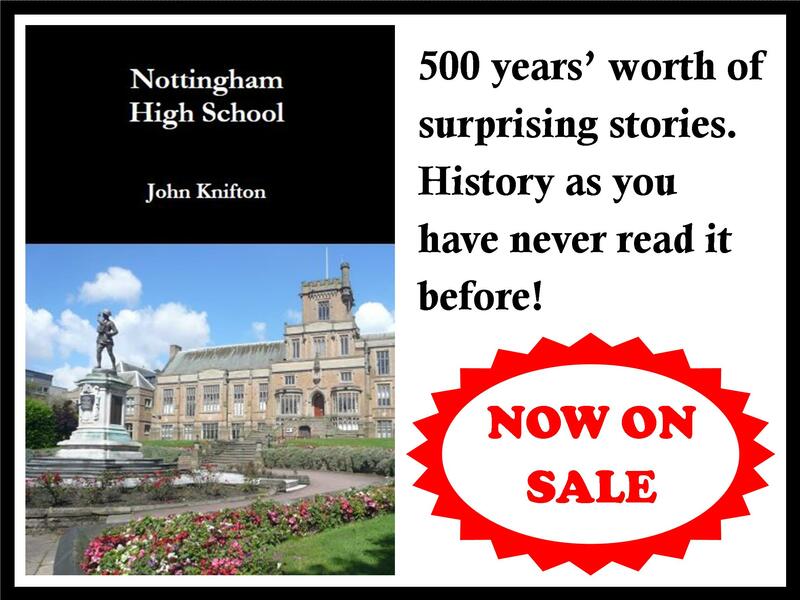 Just one soldier’s story, but it pretty well sums up the history of World War One, and who you are John. Yes, it probably does, although my other grandfather, who lived in distant Lancashire, I know northing about really. Perhaps I should try researching him! 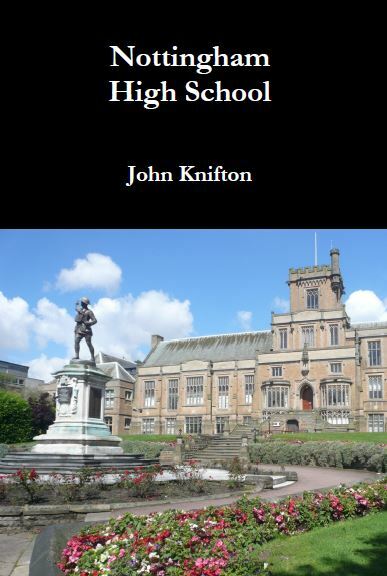 Fabulously written and researched, John, I think he would be proud. Astounded that you actually managed to find a picture of him at work on the train. May I ask was your grandmother living in England when he came back to marry her or did she live in Canada and come over for the ceremony? The photographs taken in Canada were his, and he had them all his life. My grandmother was living in England when they got married and then after the Armistice, she didn’t want to emigrate but to stay near her family in sunny South Derbyshire. I think my granddad still yearned after Canada so he kept all his souvenirs. Most poignant is a postcard of the place he had earmarked for them to live when they were married and had moved back to Canada as he thought was go9ing to happen. It was a little place called Muskoka Falls.